New 12 inches tall hourglass style water pipes. It has a beautiful design with Shower Head percolators. Approximately 4.5 inch base and holds the decent amount of water. 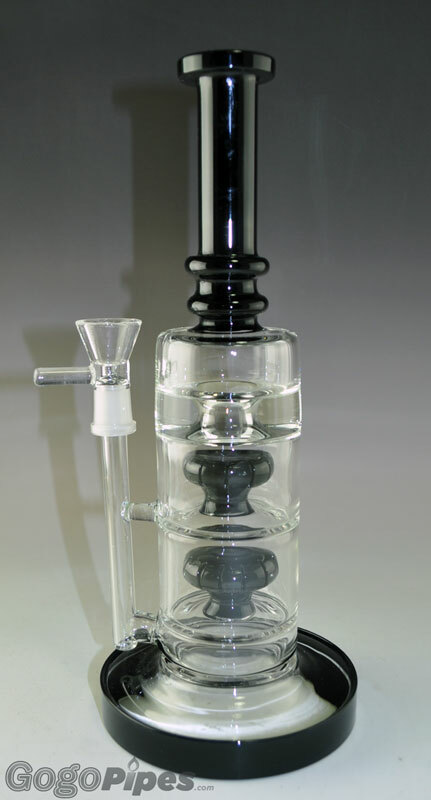 It is very smooth and perfect glass water pipe. It's almost 7mm thick and available in two different colors Black and White. It also has the ice pinch in hourglass style. This dab rig has the 14mm size. It has a great lip size mouth. Shop with confidence form secure online head shop. Select a color - Select your favorite color. 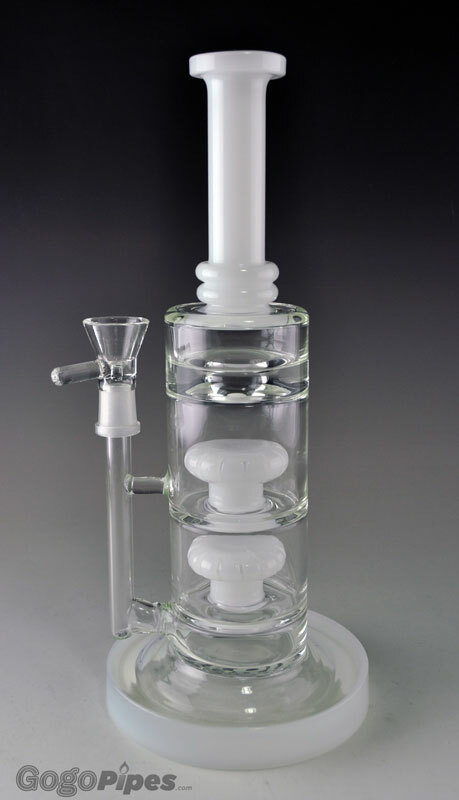 This dab rig has decent amount of room around so the percolation function performs well. It is heavy and very sturdy and there is no chance of tipping over. This can be used for flower or oil. Be the first to leave a comment for this product.